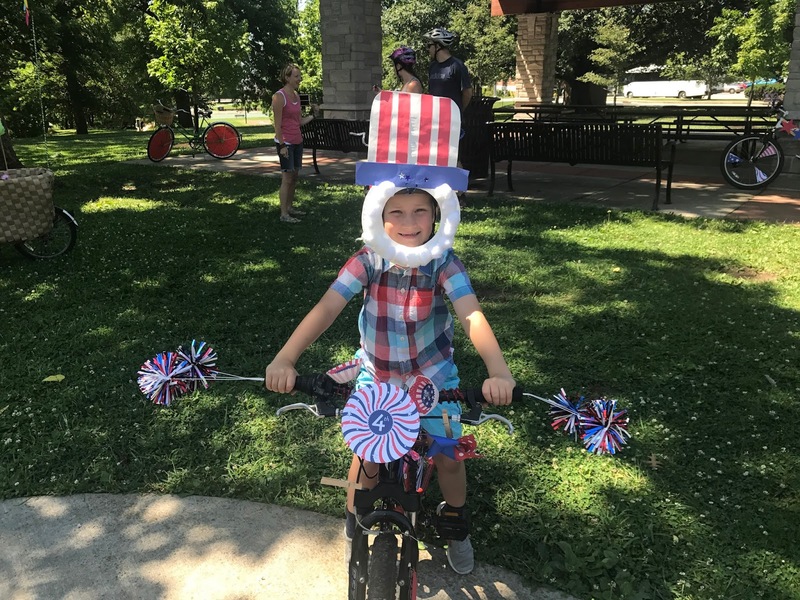 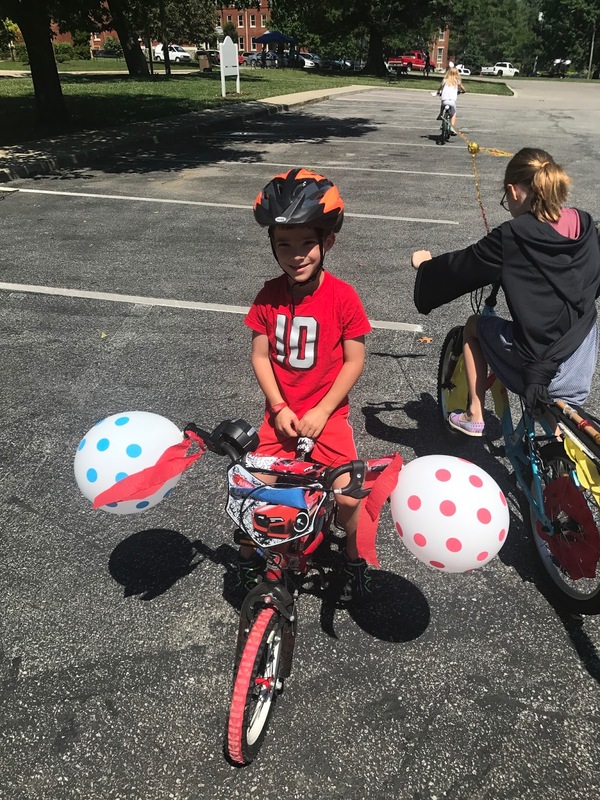 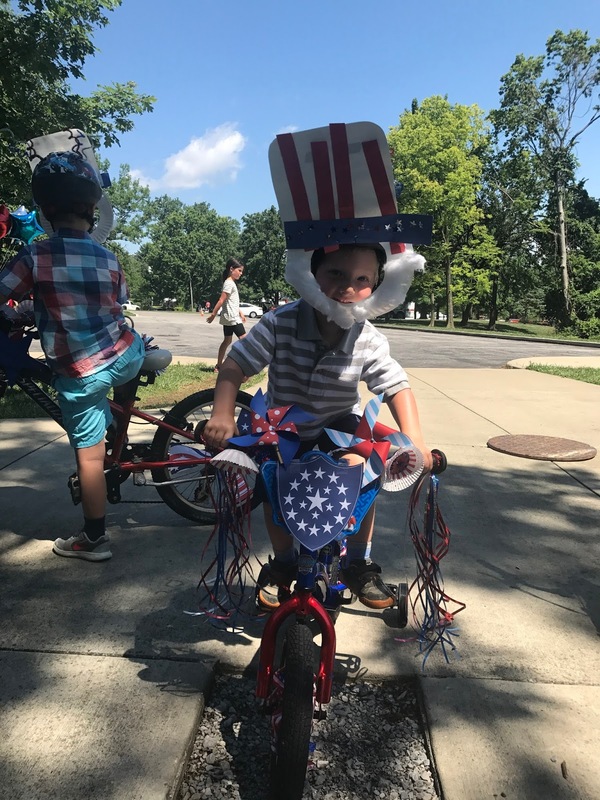 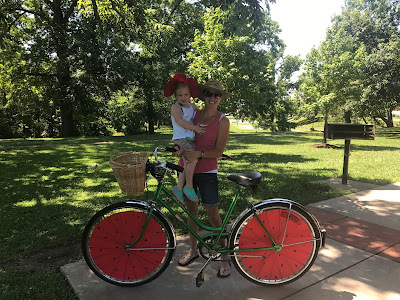 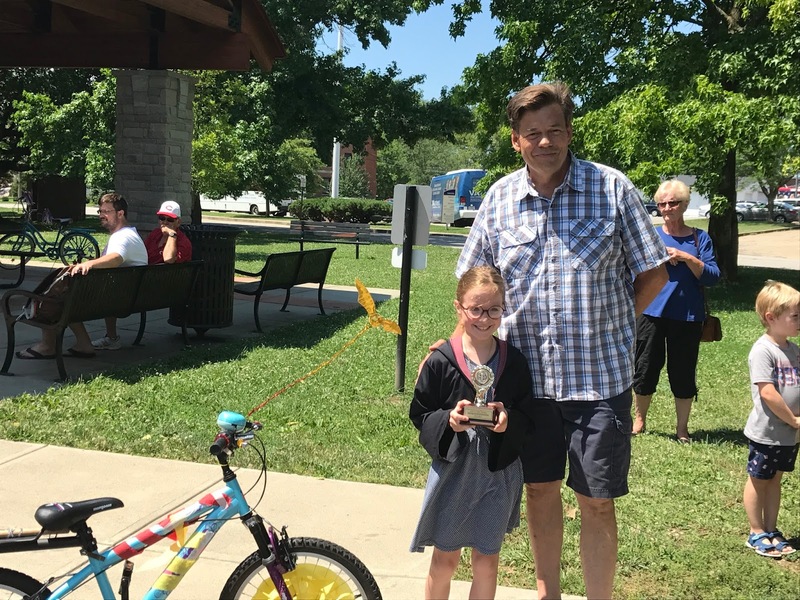 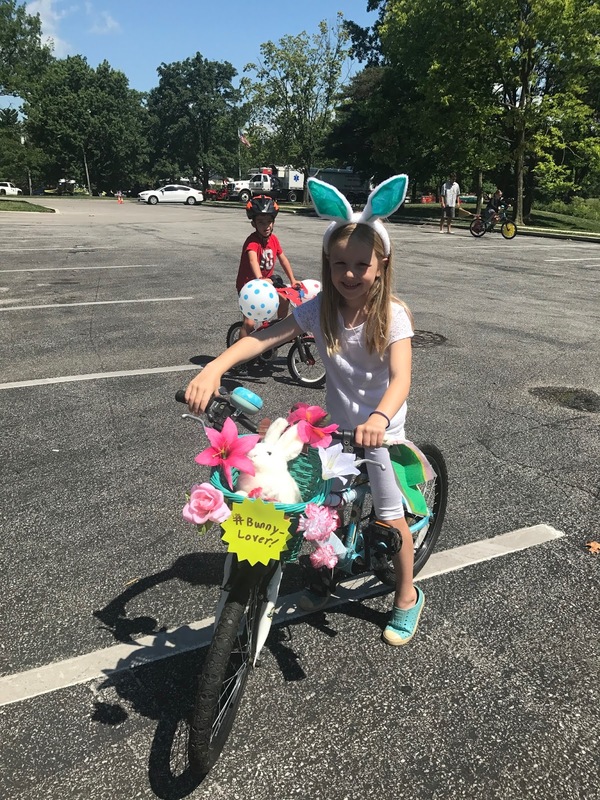 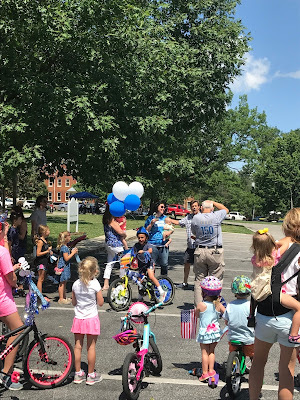 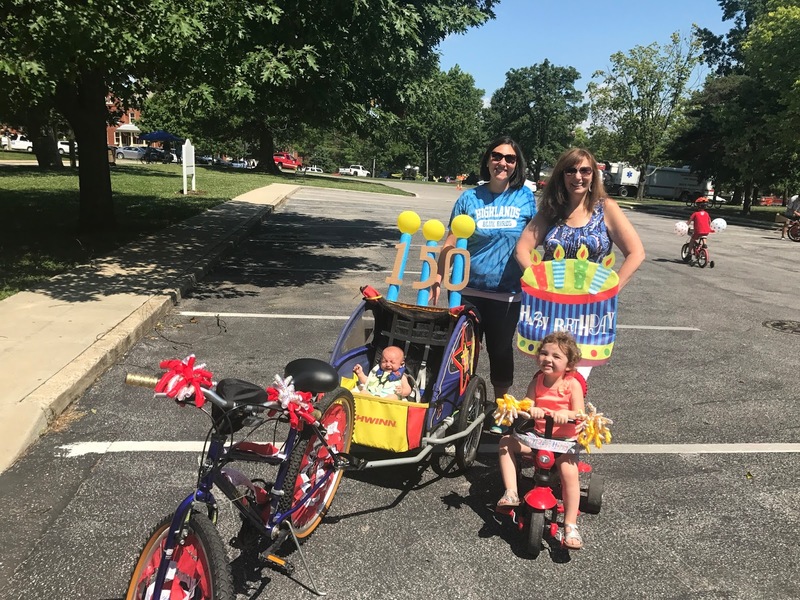 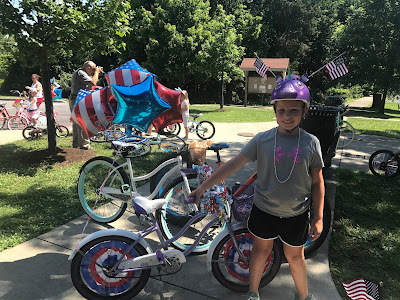 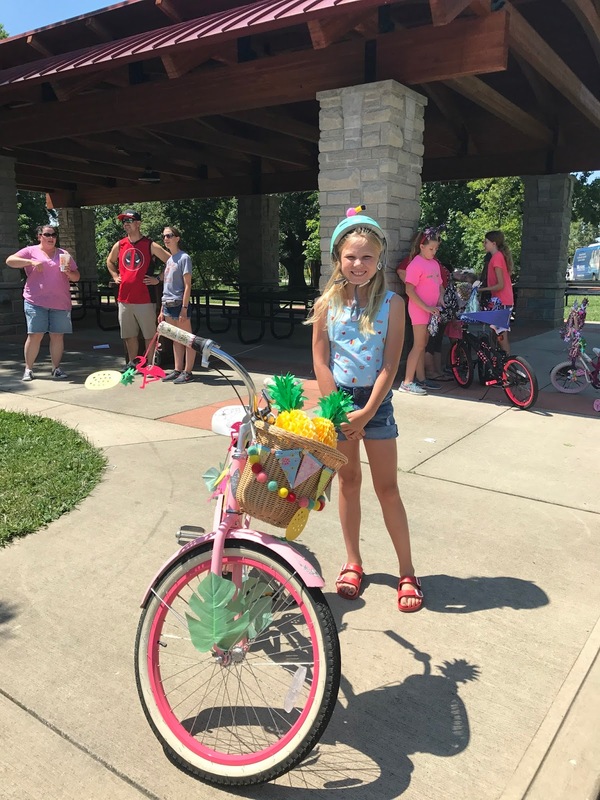 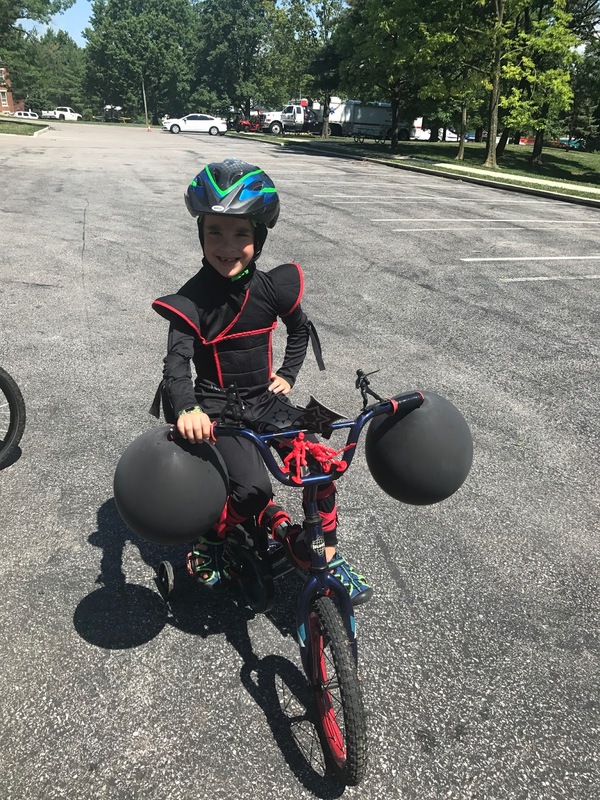 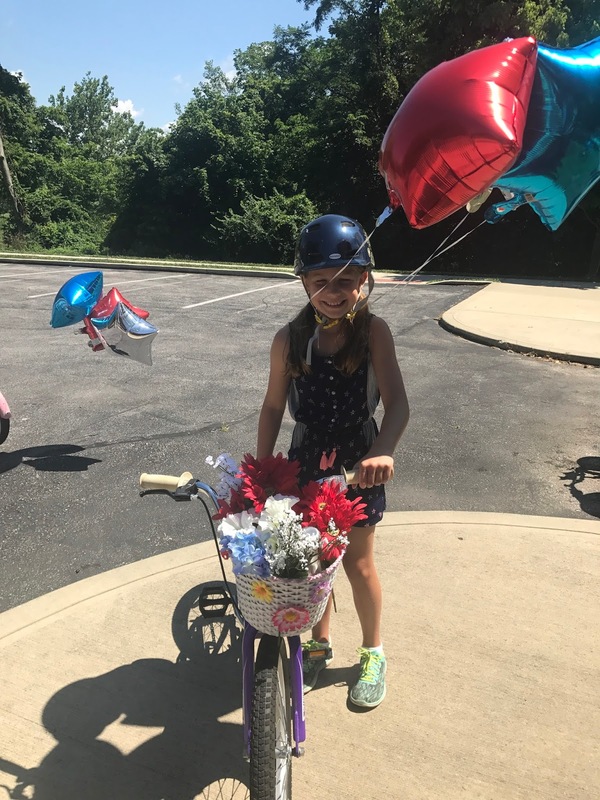 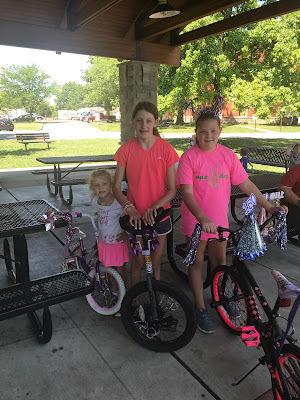 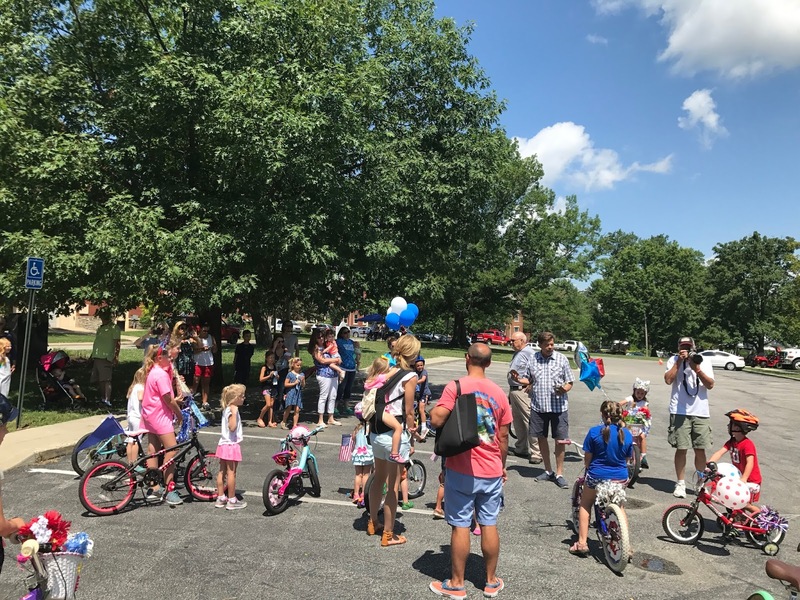 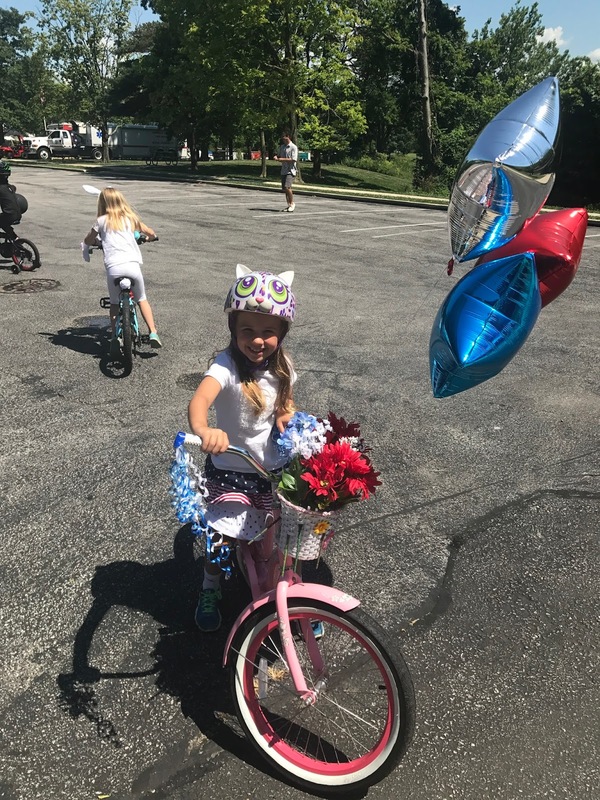 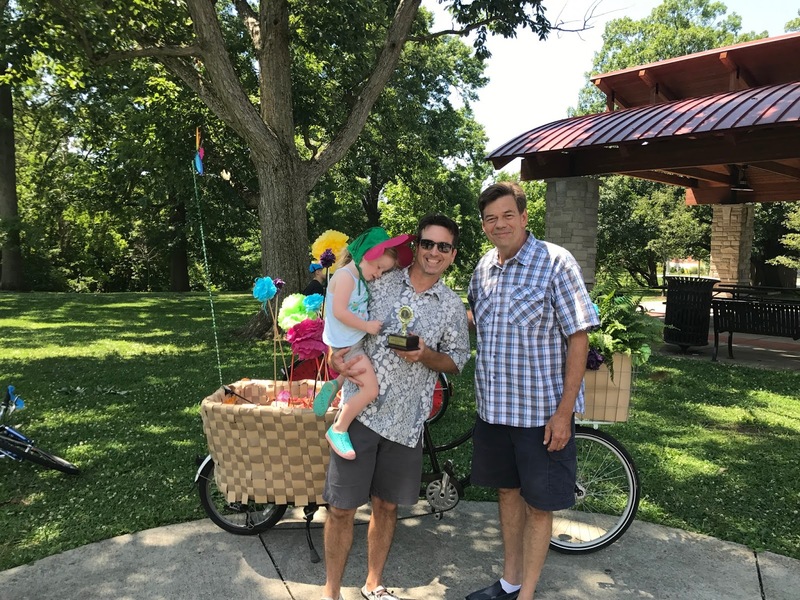 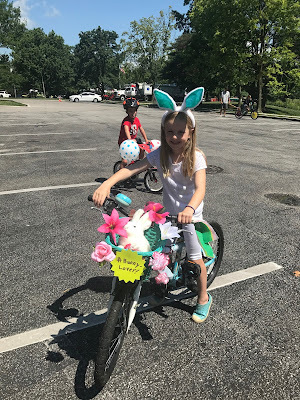 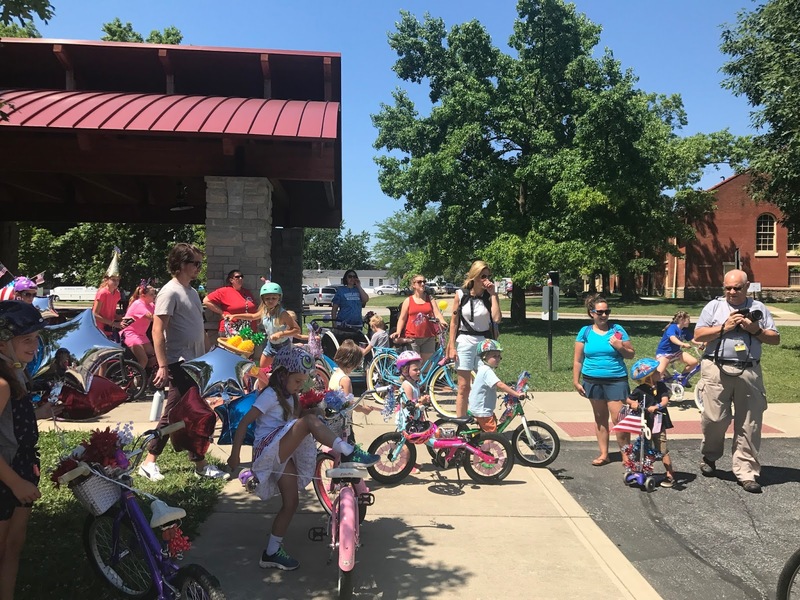 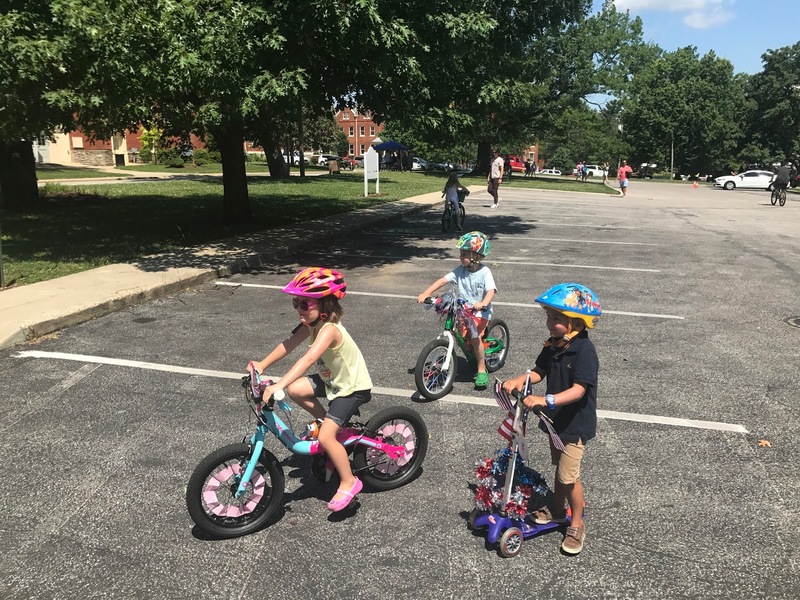 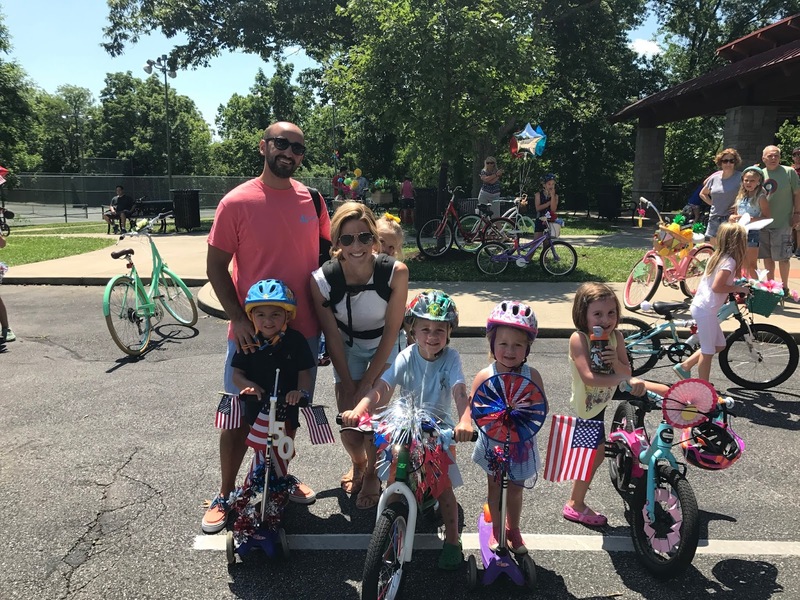 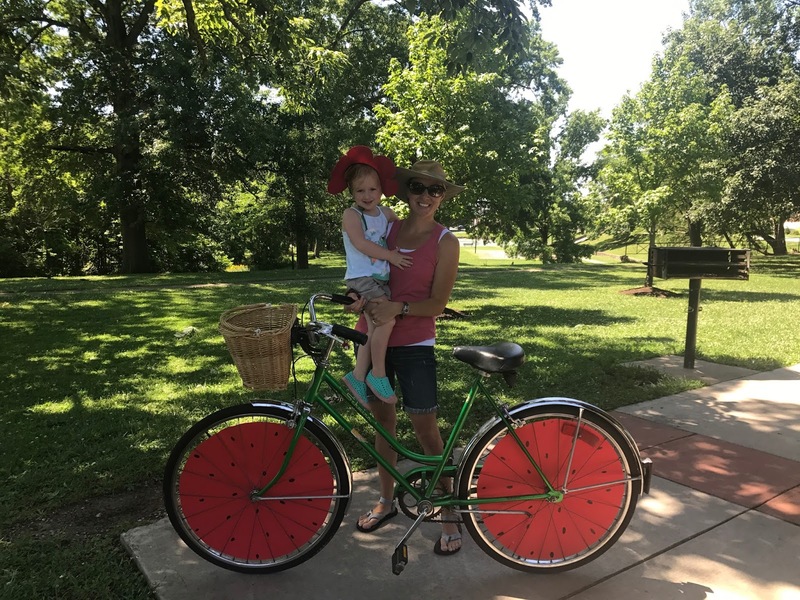 On Saturday, July 15, Fort Thomas residents gathered at Tower Park to show off their cleverly decorated bikes and parade in front of Mayer Eric Haas, who won the same bike decorating contest at the city's centennial celebration 50 years ago. Here are some photos from the event. 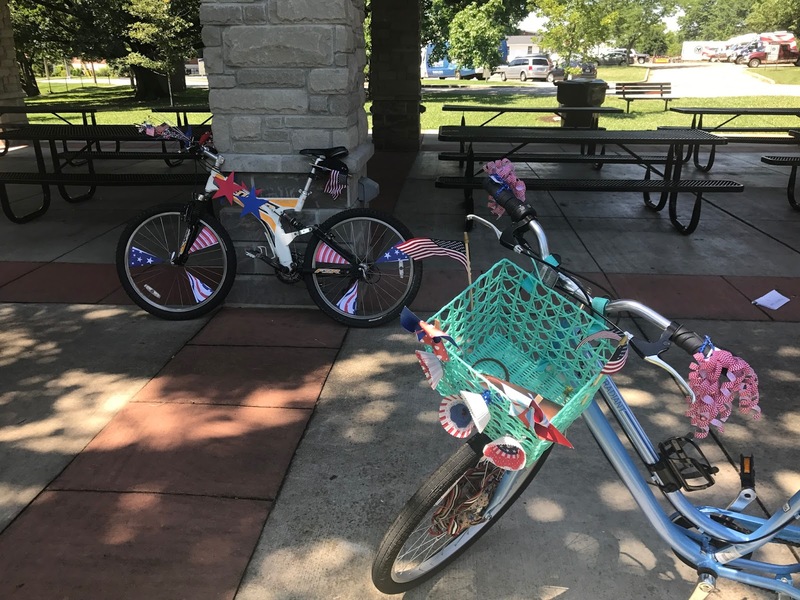 These bikes celebrating the sesquicentennial were a winning entry. 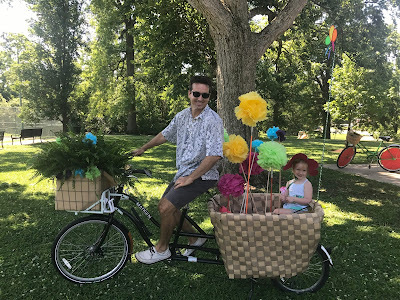 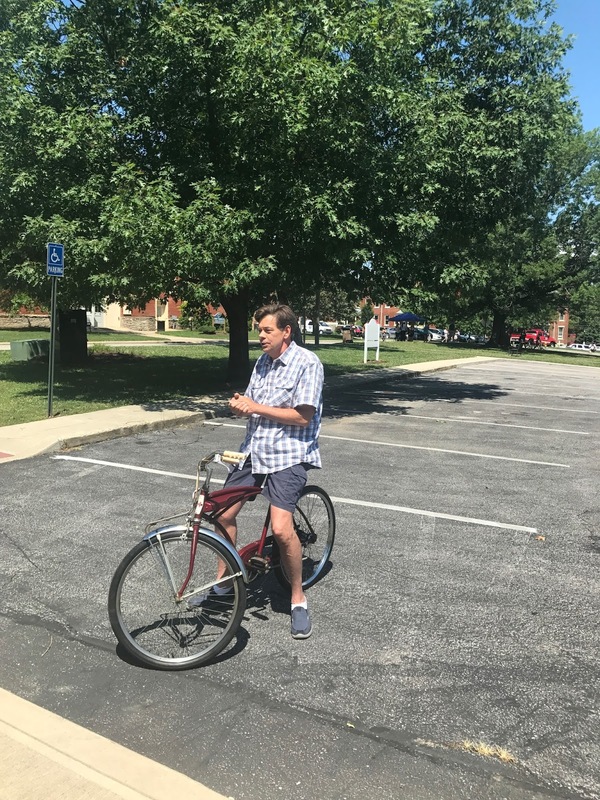 Fort Thomas Mayor Eric Haas, sitting on the same bike he decorated 50 years ago when he won the bike decorating contest during the city's centennial celebration. 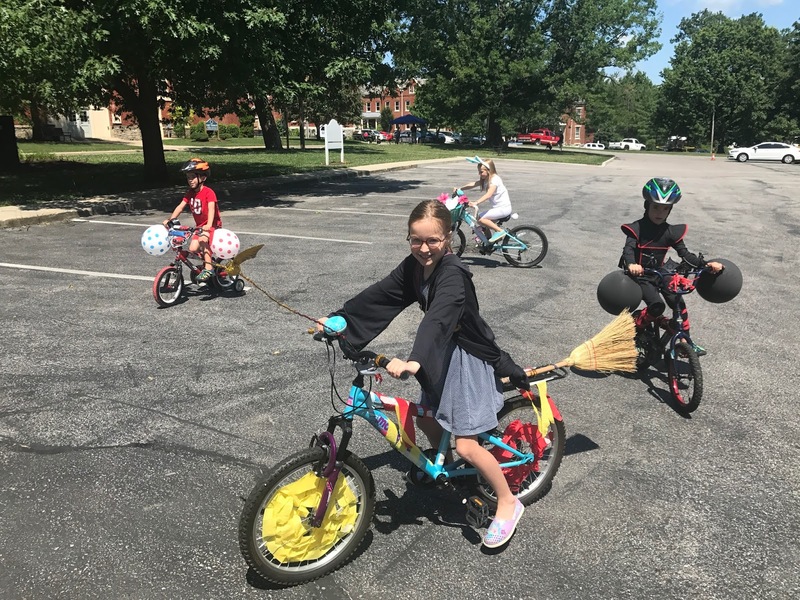 A Harry Potter-themed bike was also a winner. A flower-pot themed bike was another winner. 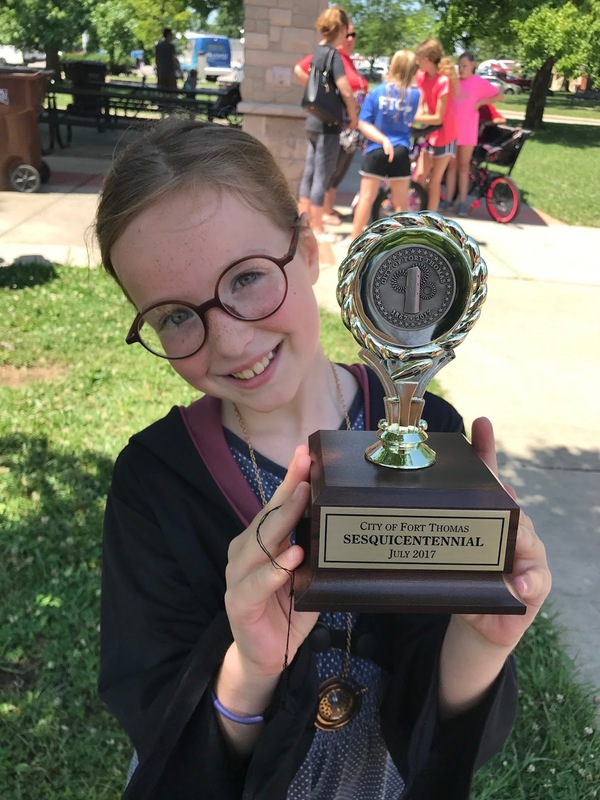 The three winning entries each received a trophy.